The pros and elites know it, and more and more amateur runners are starting to believe it: rest and recovery is equally as important to performance as training, workouts, and a fueling and hydration strategy. It is pretty simple when you think about it. Our bodies are machines. We prime them to function at a very high level as it is, but throw in running, and we really start to test our body’s limits. To keep us running our fastest and best race times, we need to keep it well fed and well rested. Sleep is an important piece of that, but so is doing proactive things to help relieve our sore muscles and help them not be so tight. Foam rolling and massage are great ways to do this, but relatively new to the running world (but ancient in the actual world) is the idea of acupuncture for runners. Not only does acupuncture help loosen tight muscles, but it has been proven to significantly improve running injuries and even prevent them. First Things First – What Exactly is Acupuncture? Acupuncture is a technique for relieving pain and reducing nausea through the use of needles to stimulate certain “hot spots” or pressure points on the body. It is thousands of years old originating from China. So, in a nutshell, the practitioner will gently push small, thin needles through the outermost layer of the skin on specific points on the body. So now that you know what acupuncture is, let’s talk about how it actually works and if it is effective. Certainly the goal of any runner, professional or amateur, is to avoid injuries at all costs. Acupuncture has been proven to reduce the risk and help prevent a lot of common running injuries when sought out regularly. It also has been known to have great effects on patients with chronic back pain, neck pain, and some studies even link it to helping reduce frequent headaches and migraines. But there are some injuries that are more common than others, and the chances of falling victim to them for even the most careful and cautious runners remains high. These are injuries (or even just general tightness, soreness, and fatigue) to the IT band, hips, shin splints, “runner’s knee,” and problems with feet and arches including plantar fasciitis and over- or under-pronation. Those tiny needles used in acupuncture piercing the skin helps promote blood flow, specifically to injured or sore areas, which, like massage and foam rolling, help speed up the healing process. It also helps calm swelling and inflammation, as well as regulates cortisol. Cortisol is a hormone in the body that increases when you are under stress, either mental or environmental. Cortisol also promotes the storage of fat, particularly around the midsection and decreases our body’s immunity to diseases and illnesses. So, in sum, we want to manage our cortisol levels and be sure they are not rising too high. Finally, unlike some other healing methods that might cause pain (i.e. that horrific date with the foam roller that you keep putting off because it can just be so darn nauseatingly painful), acupuncture is relatively pain-free. As long as you do not have a strong aversion to needles, then the pain is quite minimal. Most patients do not even feel the needles piercing their skin. And even if you are terrified of needles, most acupuncturists have nifty tips for making sure you do not actually see or feel any of the needles going into the skin. Acupuncture also is not synthetic, so it will not leave you with adverse side effects, such as fatigue, drowsiness, irritability, and nausea, that a painkilling drug might. While acupuncture is a great, easy, and virtually painless solution for runners who are suffering from chronic running injuries, or just trying to prevent new ones from happening, it can also help runners in other ways. Studies have linked acupuncture to improved sleep. All runners and athletes know the importance of getting a full eight hours of sleep. Again, without risking harmful side effects that a sleep aid might have, and without the high price tag of going through brain scans to try and pinpoint the problem from a neurological standpoint, acupuncture helps the body to naturally produce melatonin, which helps us fall asleep faster and rest better and for longer. And for those runners struggling with anxiety and/or stress, acupuncture has also been proven to calm nerves and help patients feel less stressed which, again, can lead to better sleep. 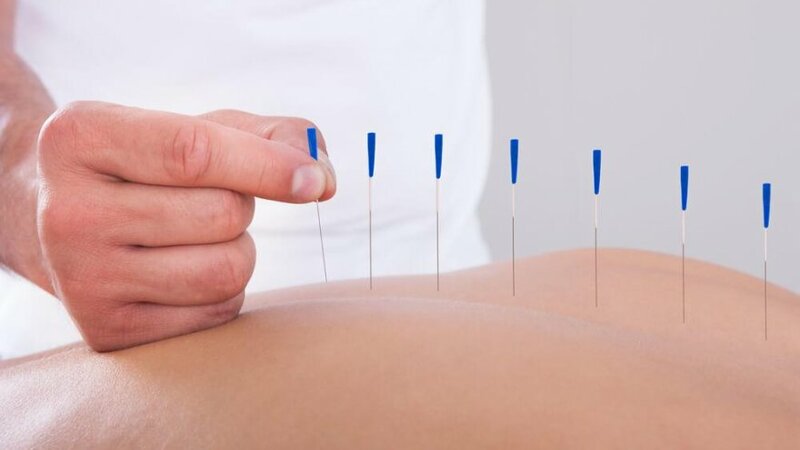 Acupuncture may also help improve digestion which could be extremely helpful for runners who struggle with ongoing GI issues, like the ones that seem to show up the night before or the morning of a big race. Because acupuncture pinpoints so many points on the body (over 2000! ), it hits on major bodily pathways, some of which are responsible for regulating digestion. The odd thing about this is that these particular points of the body for certain systems may be all over the body. That means a trained acupuncturist who is trying to treat you for after-meal bloating and gas may be needling certain spots on your back and shoulders. Pretty cool, right?